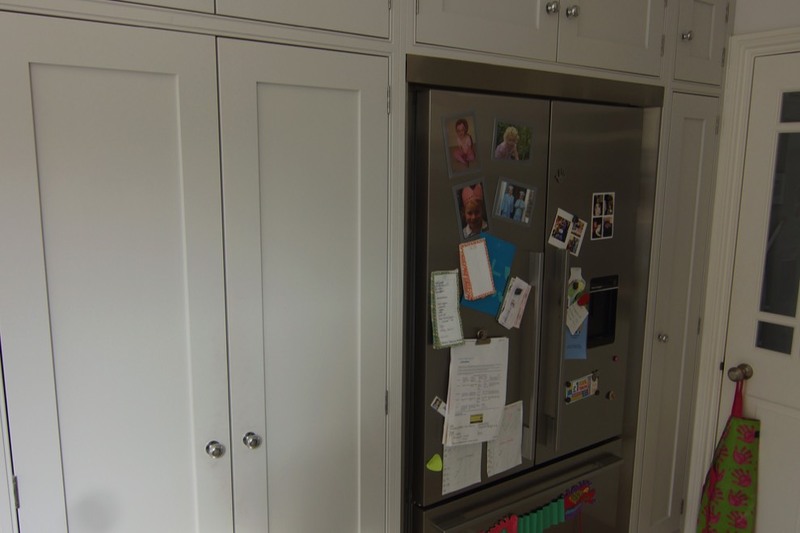 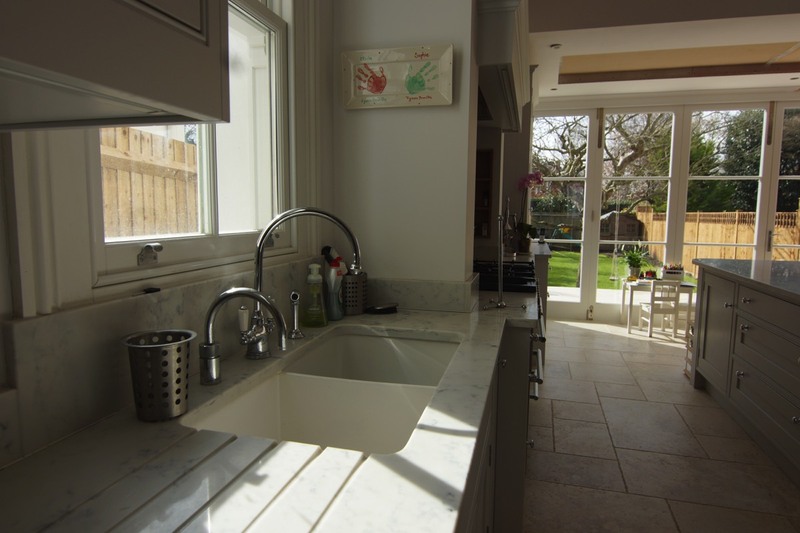 This property on Putney Hill was completely renovated, and a single story extension added to the rear were the new Cockbeaded in-frame kitchen was installed by Teddington Kitchens. 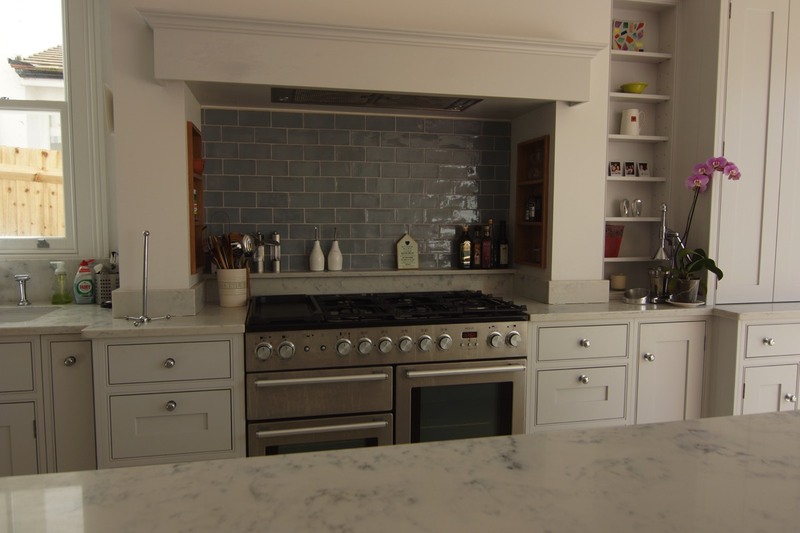 The mantel was also designed and fitted by us it sits on what was just a bare wall but as you can see looks the part of the structure of the building. 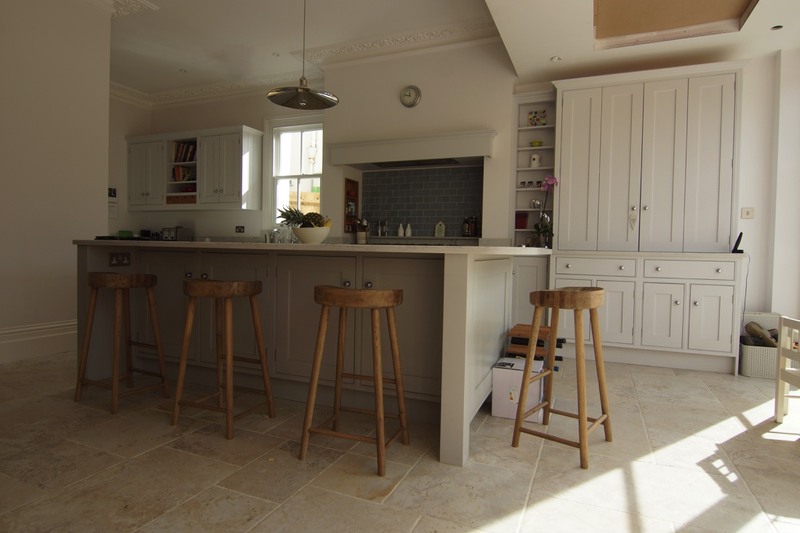 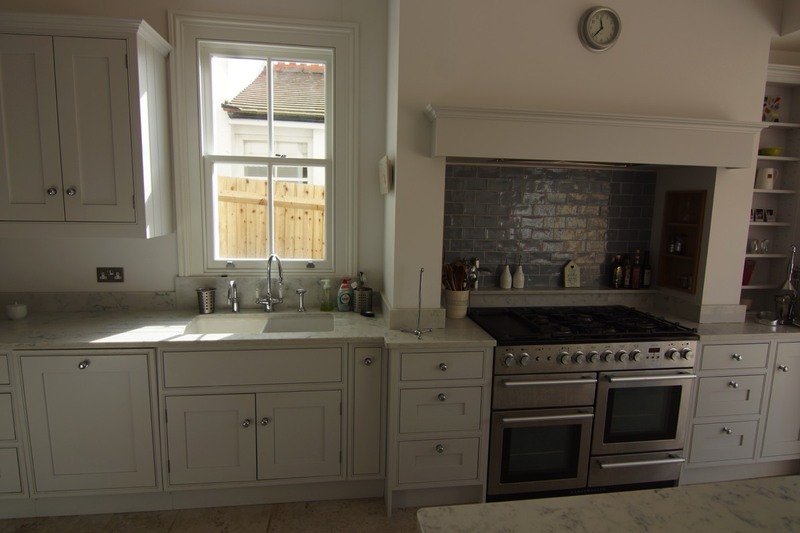 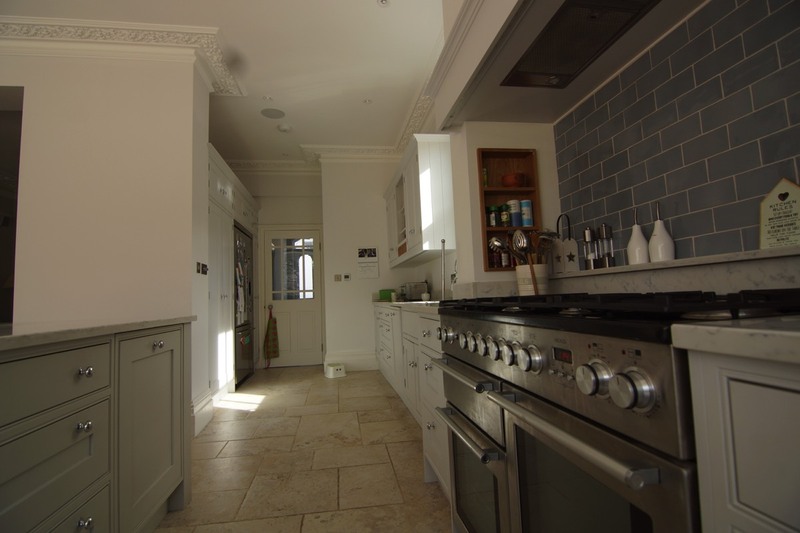 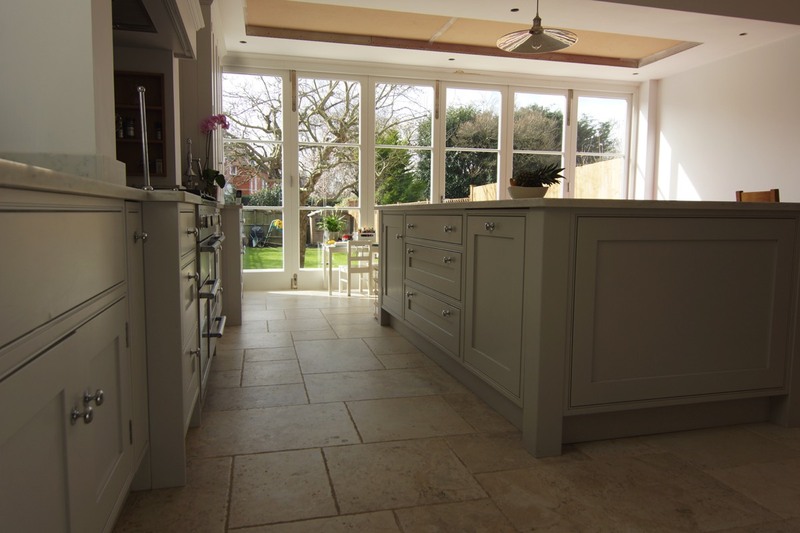 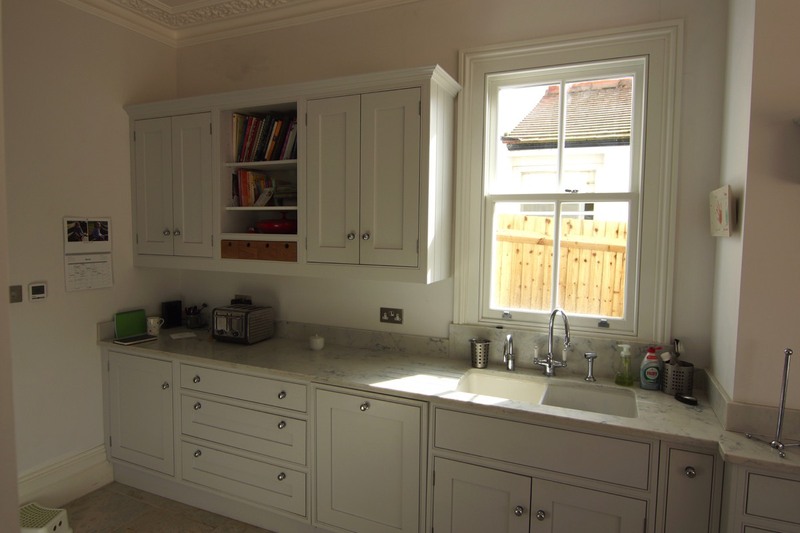 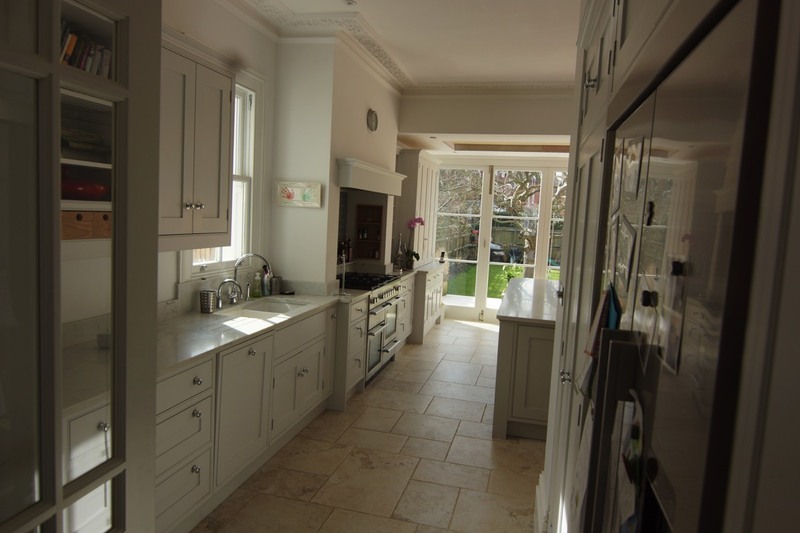 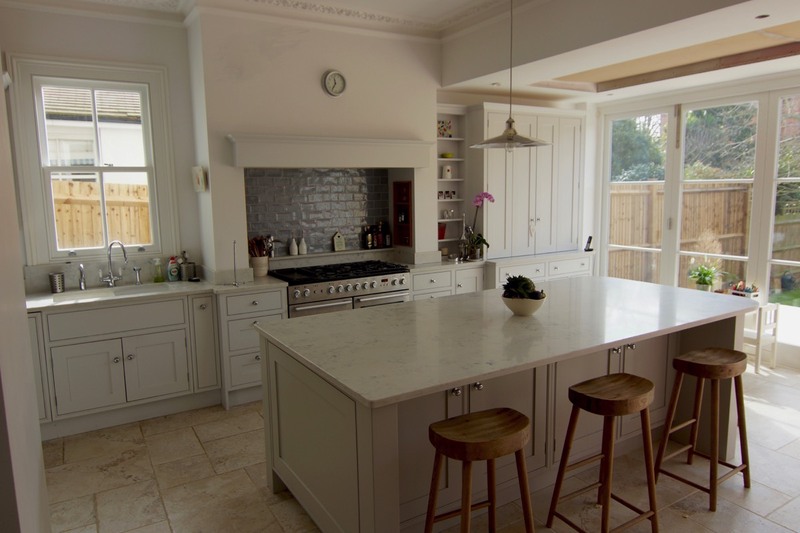 The worktops are a marble copy of quartz which goes well with the chosen colour scheme along with the limestone floor tiles creates a very traditional look.